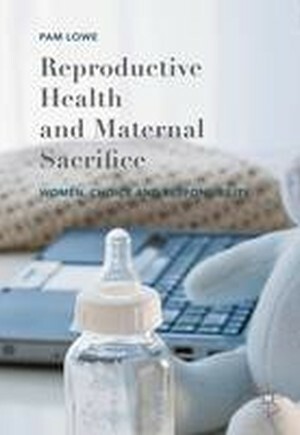 This book demonstrates that the symbol of maternal sacrifice is the notion that 'proper' women put the welfare of children, whether born, in utero or not conceived, over and above any choices and desires of their own. The idea of maternal sacrifice acts as powerful signifier in judging women's behaviour that goes beyond necessary care for any children. The book traces its presence in various aspects of reproductive health, from contraception to breastfeeding. Pam Lowe shows how although nominally choices are presented to women around reproductive health, maternal sacrifice is used to discipline women into conforming to specific norms, reasserting traditional forms of womanhood. This has significant implications for women's autonomy. Women can resist or reject this disciplinary position when making reproductive decisions, but in doing so, they may be positioned as transgressing and/or need to justify their decisions. The book will be of great interest to scholars of sociology, gender studies and health studies. Chapter 1. Introduction.- Chapter 2. Responsible 'Choices' and Good Motherhood.- Chapter 3. Regulating Contraception and Abortion.- Chapter 4. Conceiving Motherhood.- Chapter 5. Idealized Pregnancy.- Chapter 6. Birth Plans.- Chapter 7. Raising Babies.- Chapter 8. Maternal Sacrifice and Choice.